The former supermarket worker, who came second to James Arthur in the 2012 series, has released an album largely made up of cover songs. In the singles chart, One Direction failed to get their fourth number one single, as Best Song Ever was kept off the top by Avicii's Wake Me Up. Also X Factor alumni, the quintet have built up a huge global fan base. Despite being the only new release this week, One Direction could not match the appeal of Avicii's Wake Me Up, which is the fastest selling single of 2013, and spending its second week at number one. The rest of the top five singles chart is made up of previous chart-toppers include Robin Thicke with Blurred Lines and Icona Pop's I Love It. There was only a handful of new entries in the album top 40, with former Disney Actress Selena Gomez achieving the second highest new entry with Stars Dance at number 14, followed by the Rolling Stones live album from Hyde Park at 16. Now That's What I Call Music 85 has become the fastest selling album of the year, selling 317,000 in its opening week, easily beating the previous record of Daft Punk's Random Access Memories, which sold 165,000 in May. But Now..... does not qualify for the main album chart because it is a compilation, instead having to settle for topping the Compilation Album Chart. 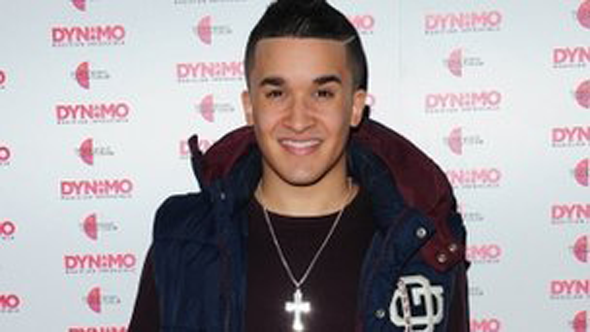 Jahmene Douglas wowed the X Factor judges when he auditioned for the show in 2012 singing the Etta James song At Last. The song does not feature on his album but other covers include Halo, Titanium and Fix You. He also recorded The Greatest Love with Nicole Scherzinger, who acted as his mentor in the series. Douglas, who used to work for Asda in Swindon, has become a youth ambassador for domestic violence charity Women's Aid and has spoken openly about the abuse his mother faced at the hands of his father, who was later jailed.